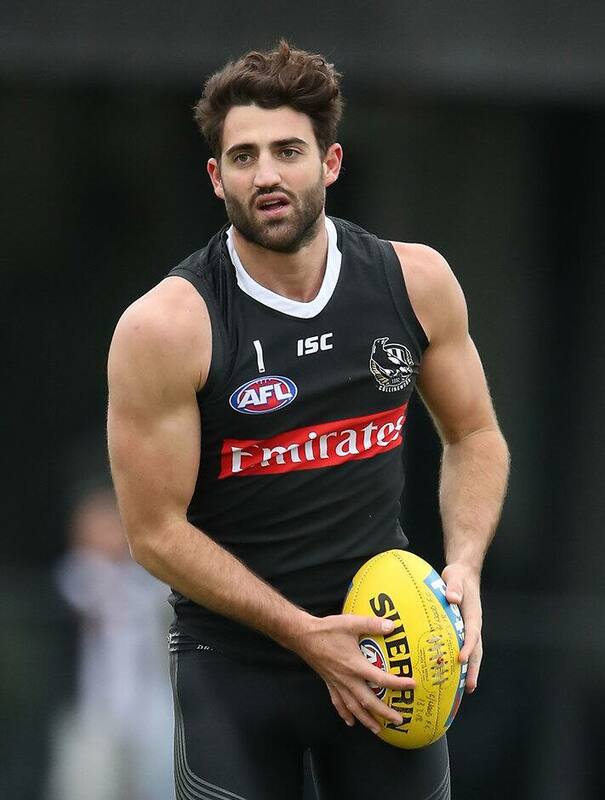 CARLTON has added former Collingwood goalsneak Alex Fasolo to its forward line as an unrestricted free agent. The Magpies will receive a third-round compensation pick (currently No.57) immediately after their third-round pick. The 26-year-old was able to move to the club of his choice. He struggled to break into the senior side this season, having managed just one game for Collingwood as it progressed to the Grand Final, after 19 matches in 2017. A right ankle syndesmosis injury suffered against St Kilda in round nine kept him out for a couple of months. He lined up for Pies' VFL side on 12 occasions in 2018, booting 24 goals across eight games. A fan favourite, Fasolo has bagged 133 goals from 101 games. He was drafted at No.45 in 2010. The Blues have already secured Mitch McGovern from Adelaide, while the No.5 NAB AFL Draft selection from 2016, Greater Western Sydney midfielder Will Setterfield, has also nominated Carlton as his club of choice.